b) Safe and Mobile. We are producing a number of SMART technology solutions to help people stay independent in the home. This PhD can focus on enabling people with early dementia to be safe outside the home (using communication and sensor devices) or to support carers in being mobile while their loved one is safe in their home. 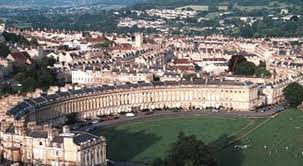 For further information contact L.Austin@Bath.ac.uk, Research Manager to the Centre. The start date of the studentship will be Monday 9 January 2012; however a different start date may be negotiated for the right candidate. The Centre for Pain, led by Professor Chris Eccleston (official website), with Bath Institute for Mechanical Engineering (BIME) is actively involved in researching appropriate technology to enhance the social inclusion of people with dementia. The Centre for Pain have developed mobile platforms and intelligent software that can provide support for customised rehabilitation and self management, including monitoring and activities for daily living. With further work this could be incorporated in smart home technology to provide an additional, tailored care for the person with dementia and provide peace of mind for their families. We would like to continue this work which brings greater autonomy to all concerned and is line with Department of Health plans to extend the uptake of assisted living to allow people to continue living independently in their own homes and communities. To meet the English language requirements (see `To apply` section below). The successful candidate will be supported for 3 years (For 2011/12 this will be approximately £13,590 stipend plus UK/EU tuition fees of £4,400 and a consumables allowance of £1,525 all subject to slight increase each year). Overseas students outside EU are eligible to apply, however they must be able to fund the additional amount due for overseas tuition fees. Please apply online at official website select `MPhil/PhD research in Health (full-time)` You MUST put RCH PhD Scholarship followed by a) Inclusive design in dementia or b) Safe and Mobile at the beginning of section 7 of the application form, so that the admissions team can identify your application. Ensure that you provide a full online application, having uploaded all the following documents (with authenticated translations into English if the originals are in your native language). When scanning documents, please remember to scan both sides. Completed Application Form (relevant to the field of study). if you are in your final year, a list of current subjects being studied. Scan of degree certificate(s) already awarded, or, a Scan of final transcript which must state that the qualification has been awarded – both undergraduate and postgraduate (if applicable). Scan of English language result (unless you are a native English speaker) – no older than two years from the proposed start date of your programme. For guidance on English status due to residency in an English-speaking country, or having studies in English, see the FAQ guide. An up to date CV of approx. 2-sides A4 (1,000 words) including clear evidence relating to academic, personal and professional achievements (including any prizes that you may have received). A research proposal to comprise of up to 2,500 to 3,000 words. You must submit a full application including all of the above documents by the closing date for your application to be considered. Demikian kami sampaikan tentang RCH PhD Scholarship in Dementia Research at University of Bath semoga informasi tentang RCH PhD Scholarship in Dementia Research at University of Bath ini bermanfaat.